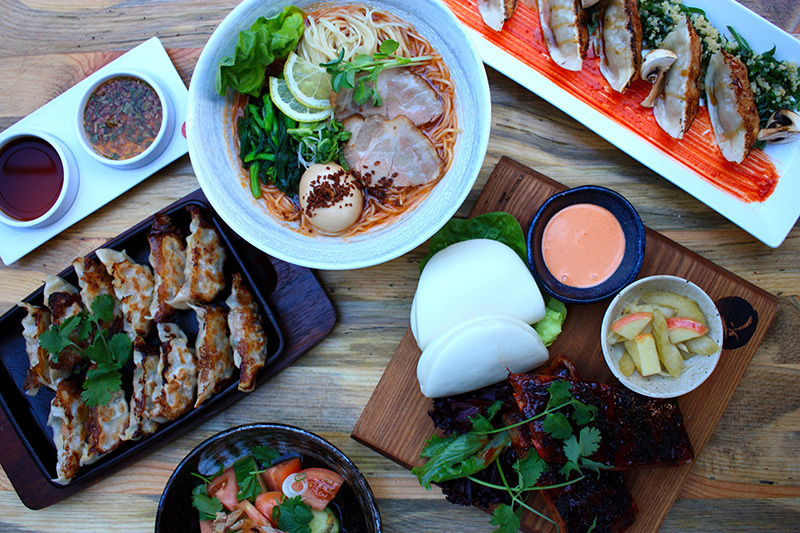 The new addition to our lunch ramen selection! Your choice of prawn, chicken, or miso marinated tofu accompanied with tamago, heritage greens, and asian slaw, mixed with our house made umami soy vinaigrette. 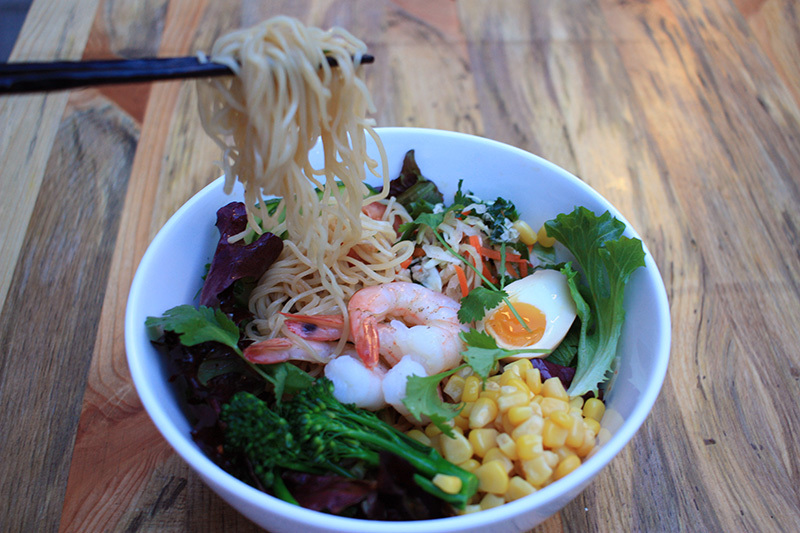 An innovative twist between traditional ramen and Vancouver’s love for salads. 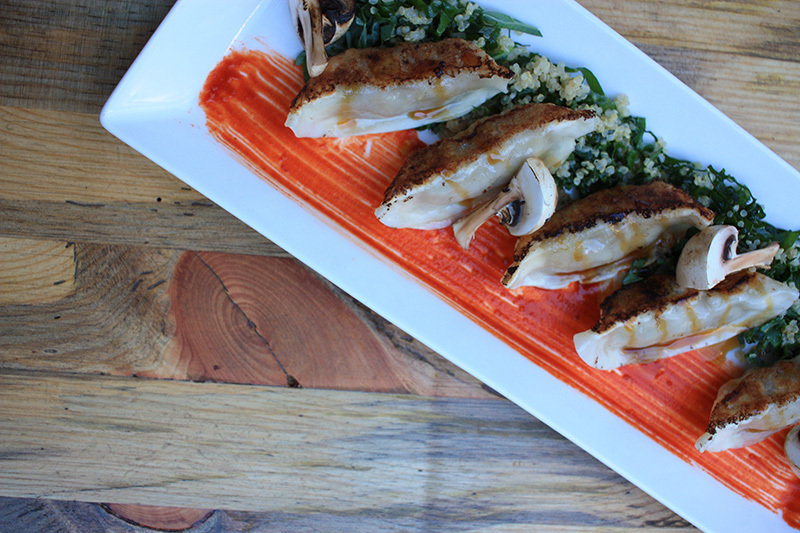 Dotted with gochujang and paired with a light quinoa and kale salad, our Seared Beef Gyoza are perfect for sharing. 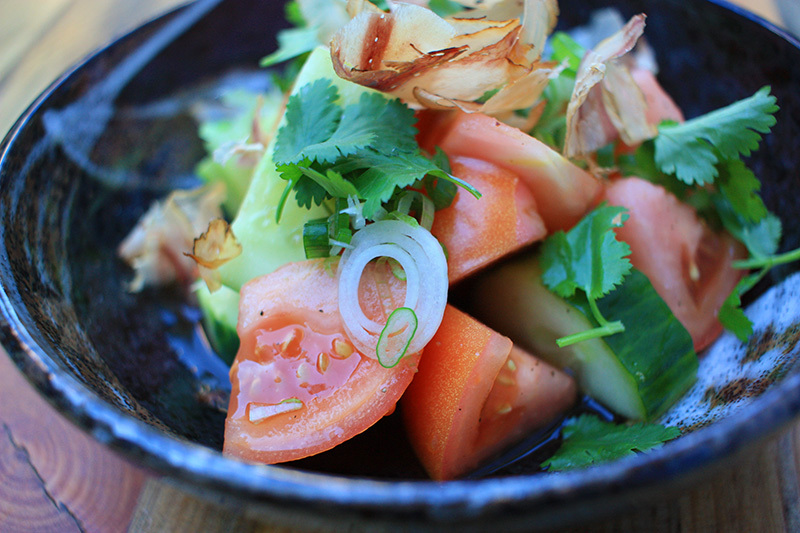 Tossed with shiso vinaigrette, bonito flakes, cucumber, cilantro, and green onion. Refreshing and packed with umami flavour. Mixed noodles with spicy pork chutney, kimchee, and finished with cilantro. Definitely a delight for spicy lovers.